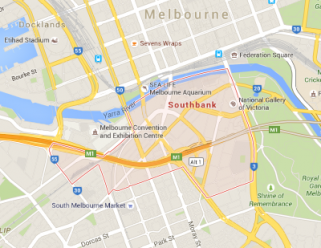 Are you a small-medium business in Southbank looking for IT Services? Complete PC can help! We offer a variety of IT Service packages in Southbank as an alternative to hiring full time IT staff. We offer on-site IT support as well as over the phone help, depending on the situation. Find out about our managed IT service packages. Managed IT Services is our most popular service as it can be quite economical for most businesses. Find out about our on demand IT services. This suits businesses that do not require our help as often, it has a higher dollar per hour fee, but you only pay it when you need it. Our services typically include computer repairs and maintenance, software installation and licensing, operating system upgrades, virus and adware removal, hardware and network audits, server installation and maintenance, cloud backup and storage, email and web services, technical support, data recovery and much more. Why use Complete PC Solutions as your IT Support Team? Our fees are a fraction of the salary you would need to pay a full time IT technician. Discounts available on managed services if we cover 10+ computers for your business. 4 Hour response time on service calls. Contact us now to discuss how we can help!